After a career in newspapers, Stanley Burke, seen around 1967, moved to television reporting and later landed the job as news anchor on CBC’s The National News. He had a natural broadcast voice and distinct delivery. 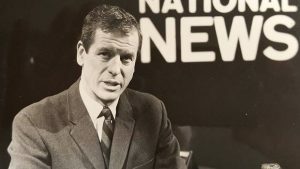 Stanley Burke, who died on Saturday of a heart attack at the age of 93, was the first non-announcer to read the CBC’s nightly television newscast. On the night he started, Dec. 11, 1966, the name of the broadcast was changed to The National News. He was a newscaster who had been a reporter and a fearless war correspondent who had been to war. But Mr. Burke left his post as newscaster in 1969 to take up the cause of peace, in his case the vicious civil war in the Biafran region of Nigeria, and remained a crusader for peace for the rest of his long life. Mr. Burke was brought home from Paris, where he was a foreign correspondent for the Canadian Broadcasting Corp., to take over the job as main reader of the CBC’s nightly news from Earl Cameron, an announcer. The man who fought to put him in the job was Bill Cunningham, another foreign correspondent who at the time was executive producer of CBC TV news. “There was a huge fight over who could read the television news. The announcers were not allowed to write copy and the reporters were not allowed to read it. Stan’s importance is that he was the first reporter to read the news,” Mr. Cunningham recalled. TV news was in its adolescence at the time, but still relied on reporting what the newspapers and wire services said. The idea was to have reporters initiate stories, and to make the news more immediate by having reporters read it. “My point was that the person who delivers the news is in effect the final editor. He can change the meaning of the words by the inflection of his voice or a facial expression. 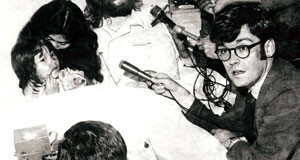 Stanley was a journalist with experience in the field and he was perfect for the job,” Mr. Cunningham recalled. There were other newsmen who were shortlisted for the job, including Norman DePoe, Michael Maclear and Knowlton Nash (who eventually landed the post in 1978). Mr. Burke was named to read the news from Sunday to Thursday; Lloyd Robertson was appointed as the reader for Friday and Saturday. Stanley Burke was born in Vancouver on Feb. 8, 1923. His father, also Stanley, was a stockbroker with Pemberton Securities. 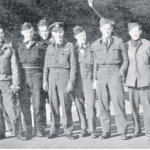 After high school in Vancouver, young Stanley attended the University of British Columbia, then joined the navy in 1943, following in the footsteps of his older brother, Cornelius, into the Second World War. Both brothers commanded motor gun boats, high-speed patrol boats used to attack submarines and enemy shipping. Mr. Burke was stationed in Bermuda, Newfoundland and the English Channel. After the war, he led an unconventional life and took a variety of jobs. He studied agriculture at UBC with the ambition of becoming a farmer-writer. 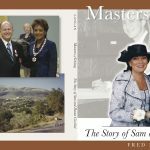 As part of his agriculture experience he worked as a deck hand on a ship carrying 800 head of cattle to China as part of a United Nations program to feed war refugees. He was in Shanghai in 1947 and, as a tease to his future as a foreign correspondent, wrote about seeing Communist demonstrators there, and noting with surprise that Western businessmen did not seem worried. The Communists took over in 1949. Back in Canada he worked for the Edmonton Bulletin. His biggest scoop was applying for and receiving driver’s licences for a dog, a goat and a duck (the province reformed its licensing law after that embarrassment). When the Bulletin folded, he decided to try his luck in the nearby Leduc oil field. He landed a well-paying job as pipe racker, but he didn’t last long. “This man had to heave 90-foot lengths of pipe around and I found the pipe racker was getting racked more often than the pipe. 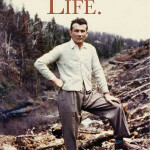 To put it mildly I tired of the oil business,” Mr. Burke told an interviewer in the 1960s. He also tried operating a turkey farm in the Fraser Valley with 2,200 birds, but his classes at UBC did not prepare him to deal with the delicate health of turkeys, and many of them died. He soon found his true métier: working in newspapers. “He was above the usual hack you sat beside at the Vancouver Sun. You could see that he was destined for better things,” journalist Allan Fotheringham recalled. Mr. Burke was soon the parliamentary correspondent for the Vancouver Sun. Based in Ottawa, he travelled to the Arctic six times in that role, and won a UN journalism competition that led to a month-long stay at the United Nations. He also began to do some freelance broadcast work. “He had to stand outside the House of Commons and, in a minute and a half, describe what had happened that day. Blair Fraser was brilliant at it, Stanley less so,” said Peter Trueman, his friend of 50 years. In 1958, the CBC named Mr. Burke its correspondent at the UN in New York, replacing Charles Lynch. “I gradually began to realize I was getting far more fun out of broadcasting than newspapering and decided to switch when the chance came,” Mr. Burke said at the time. Working at the UN meant he travelled the world, and was in Berlin in 1961 when the wall went up between East and West. In 1962, he was named the CBC’s Paris correspondent, a job that meant covering not only France, but also conflicts in places such as Cyprus and Nigeria. He was fearless in the field. Many years later his local newspaper, the Amherst Island Beacon in Kingston, Ont., recounted an incident during Algeria’s war for independence, where Mr. Burke and his camera crew had just witnessed the massacre of 79 unarmed civilians. One of the killers stuck a gun in Mr. Burke’s ribs demanding the film, but he refused and somehow survived. The end of his time in the newscaster’s chair came in 1969. Mr. Burke became transfixed by the Biafran war, a tragedy much like the war in Syria today. He visited Nigeria and implored Canada and other governments to do something about the conflict. “The CBC gave Stanley an ultimatum. It was either Biafra or read the National News. Stanley, to his credit, gave up his salary of $30,000 a year, more than the president of the CBC, to remain true to his own conscience,” Mr. Trueman said. After leaving the CBC, Mr. Burke lived first in British Columbia, where he was owner and publisher of the Nanaimo Times. He later moved to Amherst Island near Kingston. 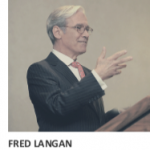 A strong environmentalist (he was a co-founder of an anti-pollution group that later merged with Pollution Probe) he was against the growth of wind turbines where the St. Lawrence River joins Lake Ontario near his beloved island. “Stanley and his wife Peggi were in the forefront in the fight against wind turbines here. It was one of his many crusades,” said his neighbour, Harold Reddekopp. So far there are no wind turbines on Amherst Island, unlike nearby Wolfe Island. Mr. Burke leaves his wife, Peggi Coulter-Burke, his children Brian, Kerry, Holly and Randy Burke; step-children Diana Coulter, Carolyn Coulter and Sheila MacNicol; 13 grandchildren, seven great-grandchildren; and his former wife Daphne Burke. Along with his various causes, Mr. Burke also wrote children’s books satirizing Canadian politics of the 1970s, including Frog Fables & Beaver Tales, The Day of the Glorious Revolution and Swamp Song.